Elements understands that we are building more than a structure. We are building the anchor that grows strong families and momentous occasions that last a lifetime. We are passionate about this industry, and our faith in what we do will be reflected in our practices. Our Team of professionals has a collective knowledge of the construction industry that is vast and plentiful. We use the experience of our team as a guide in providing an exceptional experience and creating value for the most important part of our business, You. Our commitment is to guide you through the process of building your home by using our in-house Architectural Designer, Interior Design Team, and preferred lenders to achieve your dream. Whether you are looking for new homes in Greenville SC or any part of the South Carolina Upstate, we can help make your dreams a reality. Dane Lytle started his residential design career in 1994. Working across the country in places like Los Angeles and even Oklahoma. 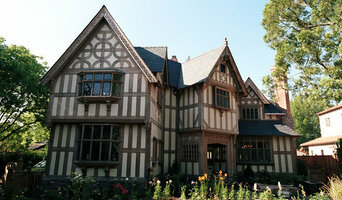 He worked for an award-winning architect in Los Angeles, Michael C.F. Chan. This firm worked for high-end clients like Jennifer Lopez, and the Queen of Saudi Arabia. Although Dane earned endless knowledge at this firm in 2000 he decided to go out on his own. Since 2000 Dane has built numerous projects and designed hundreds of homes. He also designed and developed Vesica Pisces Chapel in Catoosa Oklahoma. He has worked on projects in Oklahoma, Texas, North Carolina, South Carolina, and Florida. Dane is a graduate from University of Central Oklahoma, holding a Bachelors of Science and Clemson University with a Masters of Business Administration. Since graduation, Dane has been focused on designing and building cutting edge projects that offer extreme value for his buyers. TAG Builders LLC is a collaborative partnership between two professionals from art and science who have successfully blended the two disciplines to create beautiful spaces. We are a small business local to the Greenville, SC area providing custom builds, high end home upgrades, additions, renovations and repairs. 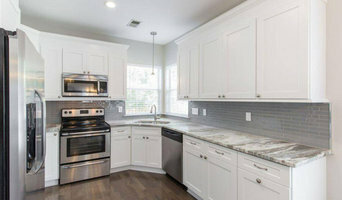 Founded by Brad Hutchinson in 2001, Grace Builders has made a reputation for constructing high quality custom homes, commercial projects and renovations. In choosing a contractor, one must be careful to find a company that is experienced, trustworthy and particularly concerned with customer service. With an understanding of business based upon the foundations of integrity and trust, Grace builders seeks to render our services in a timely manner, working as a team with our clients to meet their goals and build their dreams. We feel that our most valuable asset is our track record of satisfied customers, and we strongly encourage those who are interested in working with us to contact any of our previous clients from our list of references. Going Green Builders is a licensed building contractor specializing in new construction (commercial and residential), additions, remodels, and green consulting. Our mission is not only to help clients that can afford to go off the grid, but to help average homeowners reduce their impact on the environment with affordable green building techniques that improve energy efficiency and indoor air quality. Sales and Builder of custom Katahdin cedar log homes, Arborwall solid cedar homes, timber frame, SIP (structural insulated panels), and super efficient net zero homes. We offer products from Katahdin Cedar Log Homes, Arborwall solid cedar homes, Energy Panel Structures (EPS). Our coverage area is all of North Carolina and South Carolina. Servicing the lakes and mountains of WNC western North Carolina and Upstate South Carolina. We are located in Hendersonville North Carolina. Associated Builders is a third generation construction company located in Hendersonville, NC. Cameron Kilpatrick, owner and license holder, separates himself from other contractors as being a hands-on builder. Cameron has a meticulous eye for detail and is on sight for every step of the project. Associated Builders strives to exceed your expectations in all aspects of your project whether a small remodel or a luxury custom home. Residential remodeler and builder offering a full line of services to meet your every need with unbeatable quality you can count on. If Its worth doing its worth doing Right! Custom Home Builder and Designer in the mountains of Southwestern North Carolina, Cashiers, Glenville, Sapphire, Toxaway, Highlands and surrounding area. 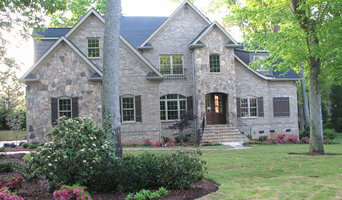 We are a custom home builder located in Pickens South Carolina. We pride ourselves on bringing high end looks and features to every house we build. Regardless of the budget, we feel every house should feel like a custom home. 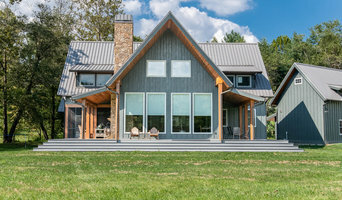 Blue Ridge Post and Beam Co.
Blue Ridge Post and Beam offers timber frame homes, timber frame structures, post and beam homes, barnes and structures. We are a post and beam construction company based out of Waynesville, North Carolina. We offer residential timber frame homes and kits, post and beam frame construction from concept to finish. Our services can be utilized in Waynesville, Asheville, Sylva, Highlands, Dillsboro, and surrounding areas. Jade Mountain Builders is one of Asheville’s most reputable green building companies. With our team of conscientious craftsmen, Jade Mountain Builders has earned a reputation for consistently producing ecologically sensitive works of art, for people to call home. I am a licensed home builder in South Carolina. I can help you with your dream home, we can build from the ground up or remodel your existing home. Milestone Contracting is a member of the NAHB, as well as the Asheville Homebuilders Association, and WNC Green Building Council. This allows Milestone Contracting to be on the leading edge of technology and stay in the “know” of the new and ever changing construction products, materials, and methods. Building quality custom built homes that far exceed our clients’ expectations is our number one goal. Contact us today to get your project started!